I've been very slack in writing up my Dartford race which was five days ago now, but the more I've been thinking about it, the more important it's felt to me, and the less sure I was about what to write. The race itself was ok although nothing spectacular, and I probably wouldn't do it again to be honest. 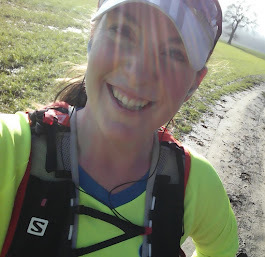 My race review that I submitted on the Runner's World site is also at the bottom of this post, if you're interested - it's a hilly run, not the best organisation, with a mixture of pretty country lanes, running along a horrible main road on a narrow path, and finishing with a lap of an athletics track. In full: There was much made about the fact that this race is in it's 35th year, so it surprised me a bit that it wasn't that slick an operation. From the big queue to drop off baggage because we had to wait for a label to be written for each person, to the unclear, poorly signposted winding route in the last mile, to running out of goody bags at the end of the race (and I finished in 2hrs so wasn't one of the last) - it just didn't seem as organised as I'd expect when everyone's had so much practise. However, the marshals were excellent, the water stops frequent (and even stocked with bananas), the locals were very supportive and the hills, although horrendous, were a positive challenge...and the medal was pretty good too! Generally the route was around pretty countryside, although I didn't particularly enjoy the narrow path along the main road. All in all, a good morning's work, but glad I didn't have to travel too far for it, as this wasn't the historic race I was expecting.